In a society infused with demons only The Order can, in Platonic style, see the world for what it really is. Join Dante in a stylish action experience; chain together multiple combos with flair and send the demonic spawn back to hell – uncover the truth behind the lies. 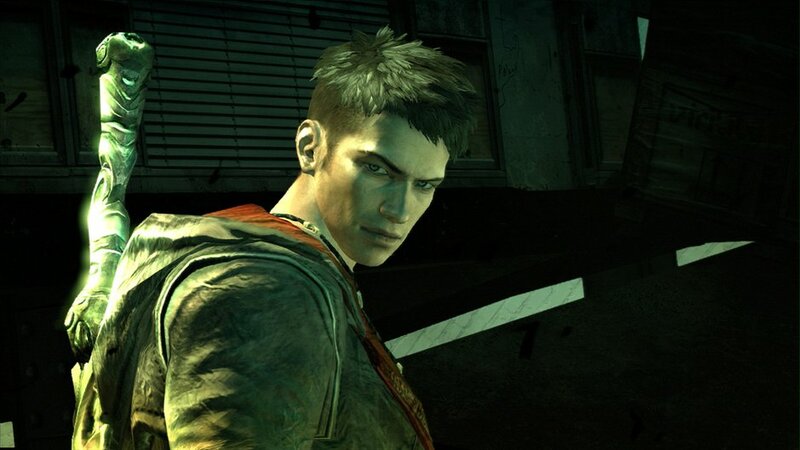 Ninja Theory took some bold steps when they decided to gamble with the Devil May Cry series, is all the outcry genuine or just fanboy anger? Straight away this game looks and feels like a Ninja Theory title from the visuals down to the combat style. The story had plenty of great ideas and will probably stir debate with all the political nuances. Luckily DMC hinges on a refined combat and not on story direction. This aspect feels perfect and every weapon seems to have its own weight, making transitions seem more real. To accompany an almost flawless combat there is an amazing soundtrack that makes this game feel as though it was cut from the same cloth as other Devil May Cry games. Though this may not seem like a positive DMC is a perfect place for newcomers to the series. While the combat can be hard on higher difficulties, the game overall isn’t extremely tough and offers new players the chance to jump in. Now the bad side is a bit longer and showcases where Ninja Theory really dropped the ball. Though the story seems interesting it falls apart at the seams when the characters are boring and simple. No matter how much better the voice acting is, it cannot save the completely one-noted cast. Obviously many are upset with Dante’s appearance, I am not among them. What I dislike about Dante is how they completely sapped all the funniness from his one-liners. I’m more upset with how poorly Vergil was handed. This once dynamic and tortured character has been turned into a faceless horror. A shell of his once self that cares about nothing except being a prick. I hardly noticed the lead female enough to be angry, her role was completely overlooked and she was more of a plot device than a living breathing character. Let’s move on to combat, mainly the lack of a Lock-On feature. I’m not entirely sure why they chose to ignore the idea especially in a game like this. I can only assume it was to make the game more difficult; however there is a difference between difficult and frustrating. The lack of a Lock-On is what I honestly believe makes Devil Trigger pointless, considering it tosses your enemies everywhere and intentionally disorients you. Not to mention there is not too much of a damage difference when in Devil Trigger Mode. Finally, the Style Meter, a feature I strongly believe is now broken due to this game. It is far too easy compared to previous games and is borderline pandering at certain points. 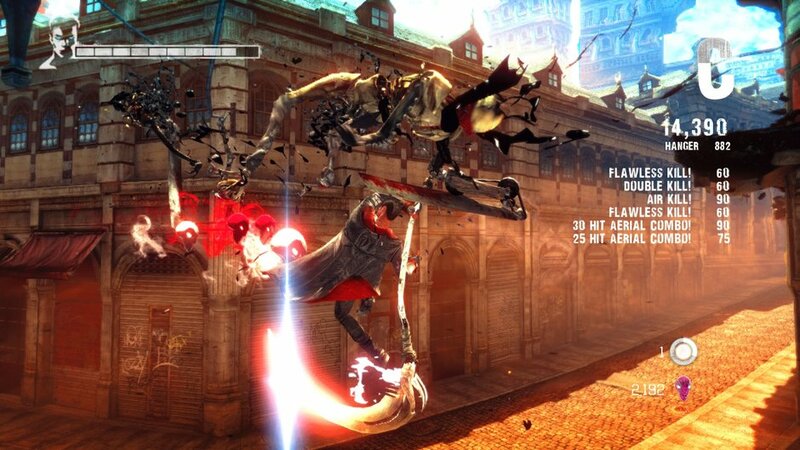 I am by no stretch of the imagination a Devil May Cry fan. I never cared for old Dante and thought the previous games lacked frame rate stability and cohesive story. Flash ahead several years later and an entirely new team still can’t write a better story. They have butchered both Vergil and Dante, though I feel they could easily redeem Dante with some better writing. 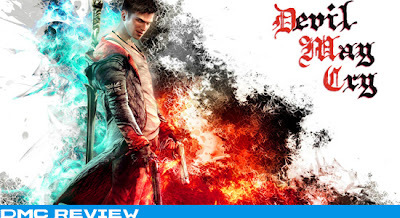 Overall DMC is a solid game that has some huge missteps. The only reason I can see this getting high scores is if you completely ignore the fact that previous Devil May Cry games exist. If you are still on the fence I suggest getting Bayonetta or Muramasa Demon Blade, because they are far more structurally sound than this title.